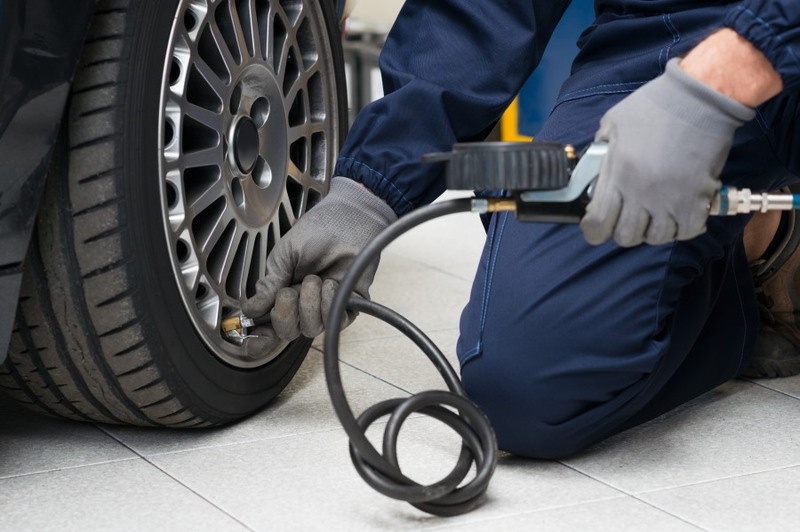 Maintaining correct tyre pressure is an essential part of regular vehicle maintenance. No tyres are perfectly air-tight. Air bleeds through a tyre’s structure at a very slow rate. It is not unusual for a tyre to lose inflation pressure at a rate of between 1 and 3 psi per month. Therefore you should be checking, and adjusting, your tyre pressure every month. The air pressure in your tyres supports the entire weight of your car. As the only point of contact between your car and the road, your tyres absorb shock and provide grip for your vehicle. Having appropriately inflated tyres not only prolongs their life, it also increases vehicle safety, enhances performance and decreases fuel costs. You can find the recommended tyre pressure for your vehicle in either your vehicle manual or your vehicle placard, which is typically located in the door jamb on the driver’s side of your vehicle. Alternatively, the placard may be located inside the glove-box or inside the fuel filler flap. In some instances, a vehicle may require different pressure levels for the front and rear tyres. Ideally, tyre pressures should be checked when tyres are cold. Tyre pressures are best checked prior to the commencement of driving or shortly thereafter. If you aren’t confident to check your tyre pressure yourself at home, the staff at your local BestDrive store will be happy to assist. A quality tyre pressure gauge purchased from your nearest auto parts store provides the best possible assurance that the pressures you measure are correct. Measurements should be compared with the recommendations listed on the tyre placard. Having checked pressures, it is important to secure the valve cap on the valve stem. The valve cap contains an ‘o’ ring seal which will seal the valve even if the valve core fails to do so. It is imperative that the spare tyre is also checked at the same time. If any or all of the tyres require inflation, this can then be done using an air compressor either at home or at your nearest service station. If topping up at a service station, it’s wise to use your own quality gauge to double check the pressure. There are a number of risks associated with under and over inflated tyres. In both instances, the common element remains that an incorrectly inflated tyre causes premature wear that could otherwise be avoided.